Thousands of flights a year take place from our base at Eshott Airfield, and you can see why with the stunning scenery and landmarks that Northumberland has to offer. We fly experiences 7 days a week from the former RAF Eshott airfield from as little as £85. Our best value flying experience - take a flight around Northumberland starting at just £85. Smooth, graceful and exciting with views you can't even imagine. 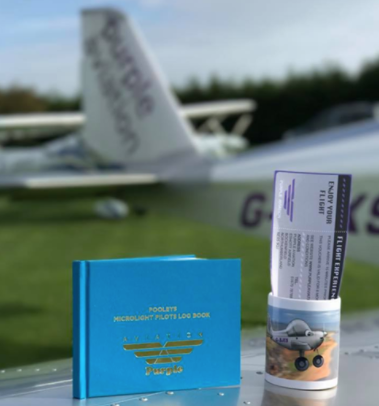 Looking for a gift for that budding pilot or perhaps someone who's always wanted to learn to fly but never had the time? These are the experiences for you. A once in a lifetime opportunity to fly a real warbird - the 'Wacky Wabbit'. Take controls of the 600hp radial powered WWII Spitfire training aircraft! New to Eshott Airfield in 2018 are our four seater flights. The co-pilot voucher holder will take the controls whilst the passengers in the back enjoy the view! Not quite sure what to get that person who's impossible to buy for? That's fine, you can purchase one of our gift vouchers for a set amount towards their experience.